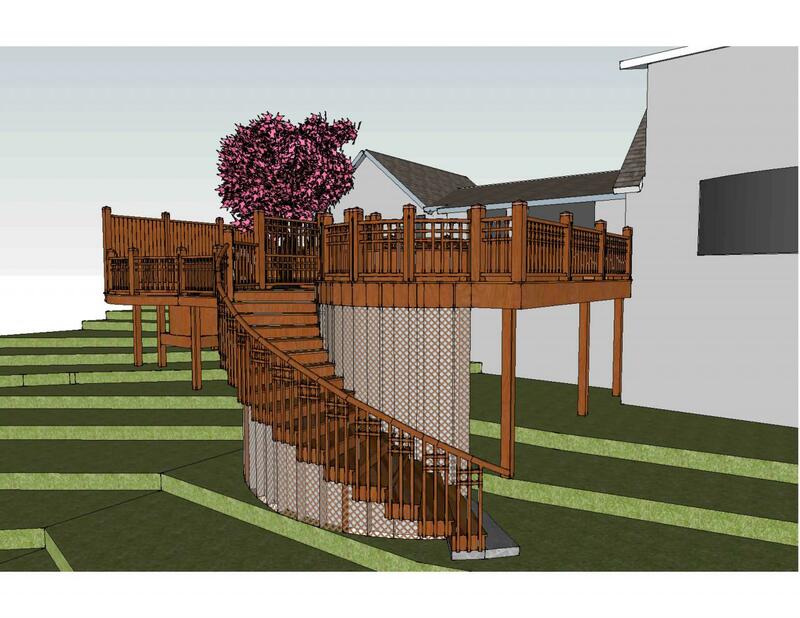 First few slides show rendering sketches developed using sketchup program to show new deck scheme for residence in Greenwich CT.
Site makes photography of project very difficult, but it came out exactly as planned. 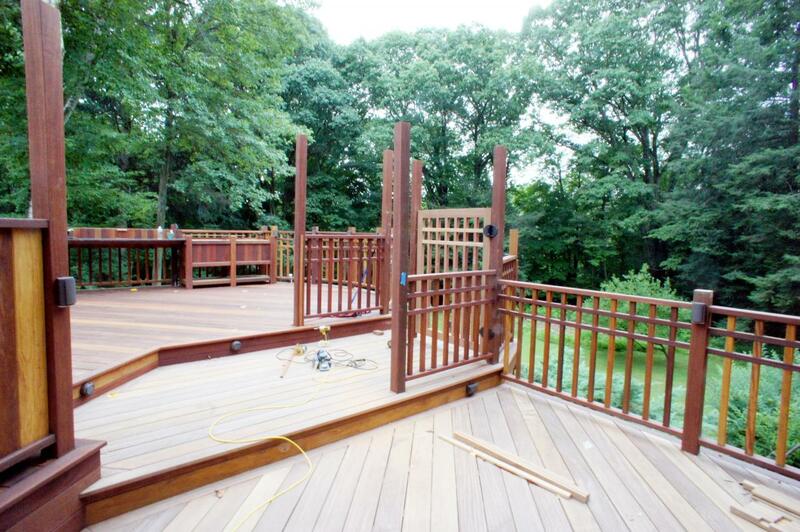 Rear yard slopes down quickly so that the deck is approximately 16 feet high above grade. 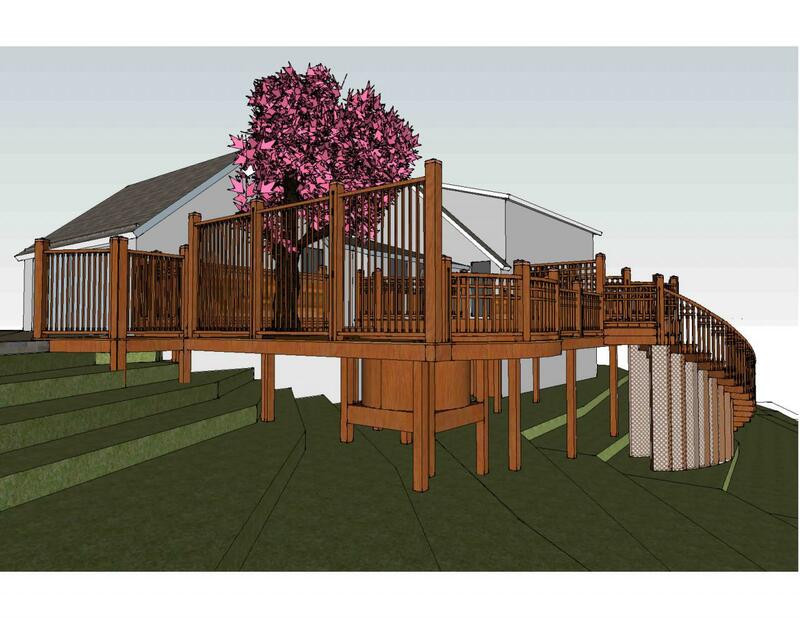 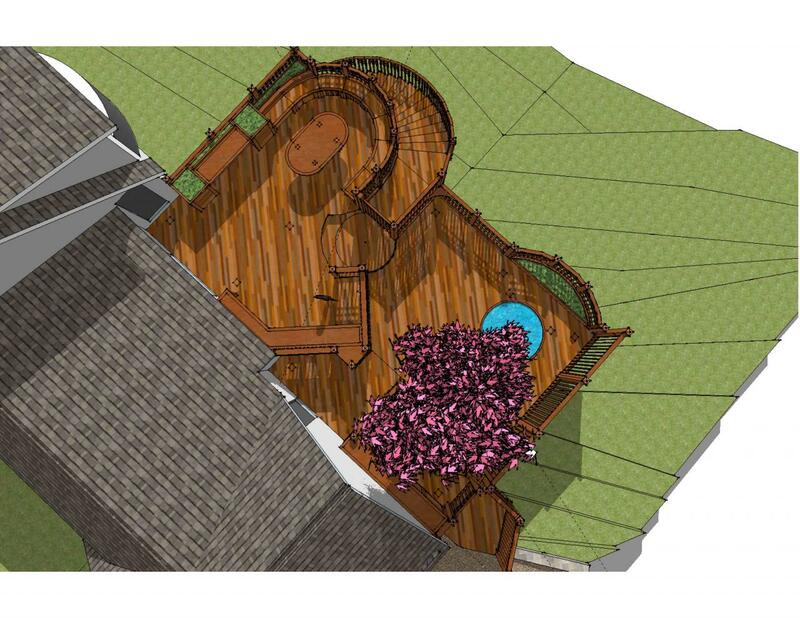 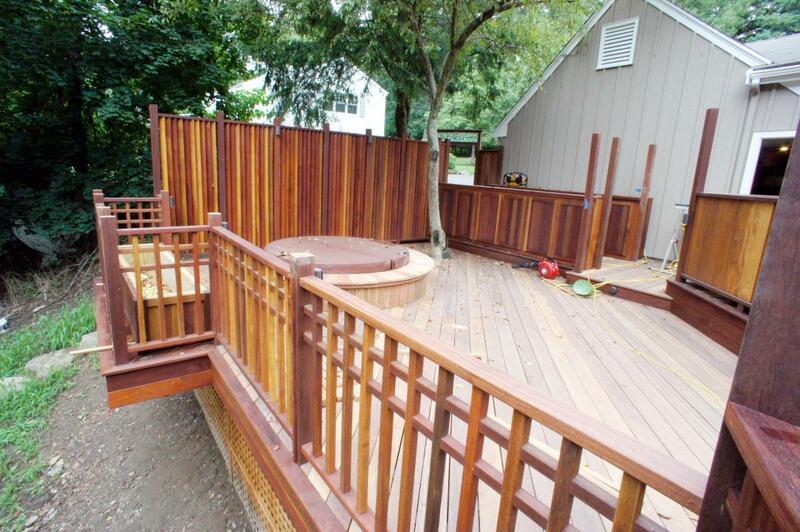 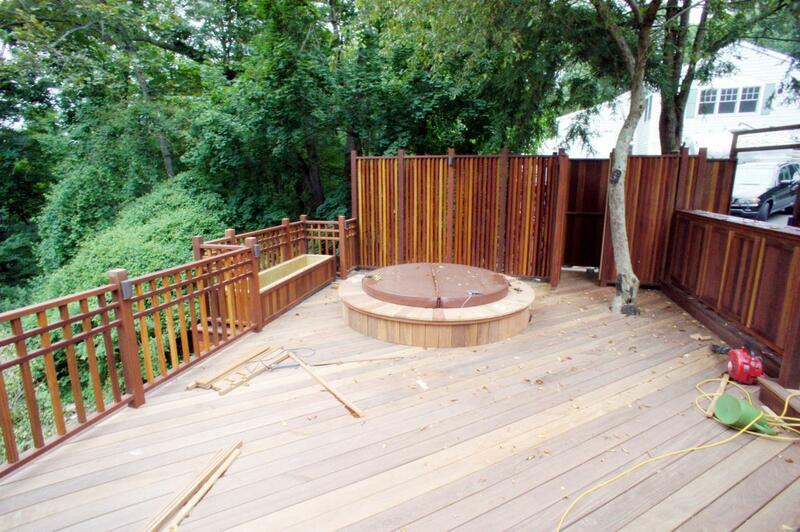 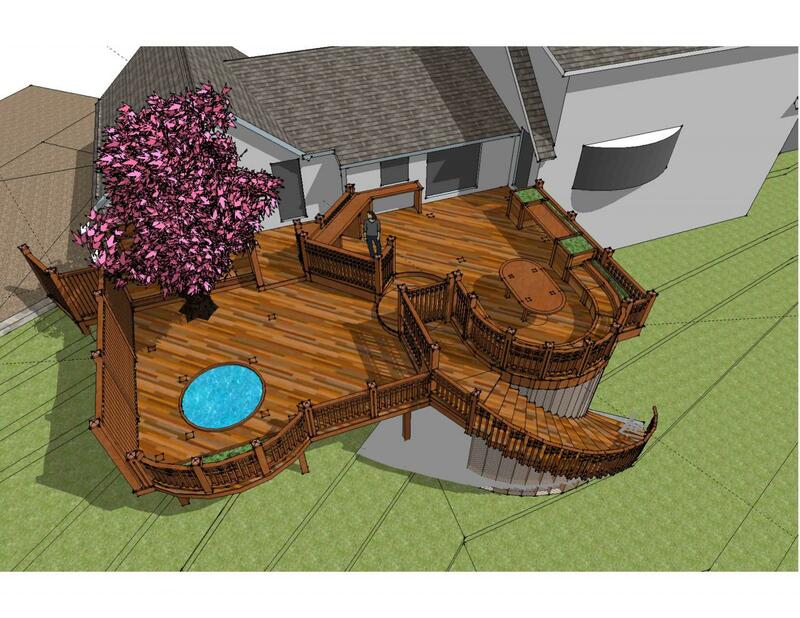 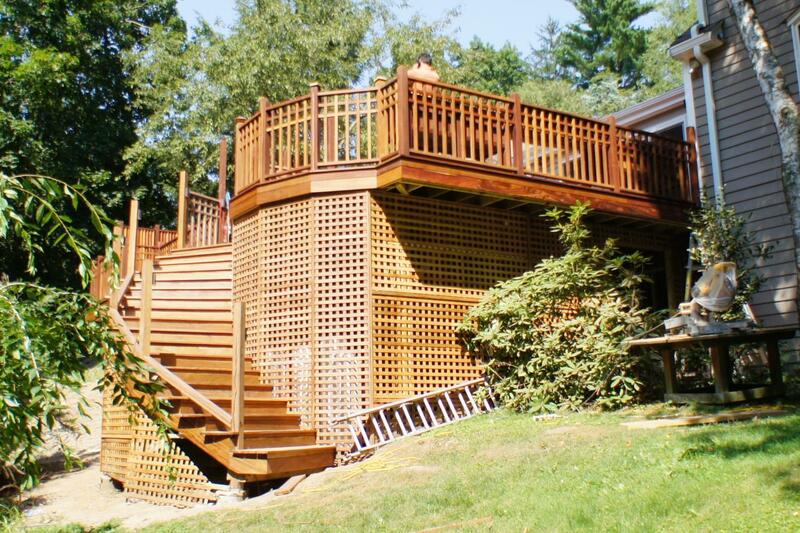 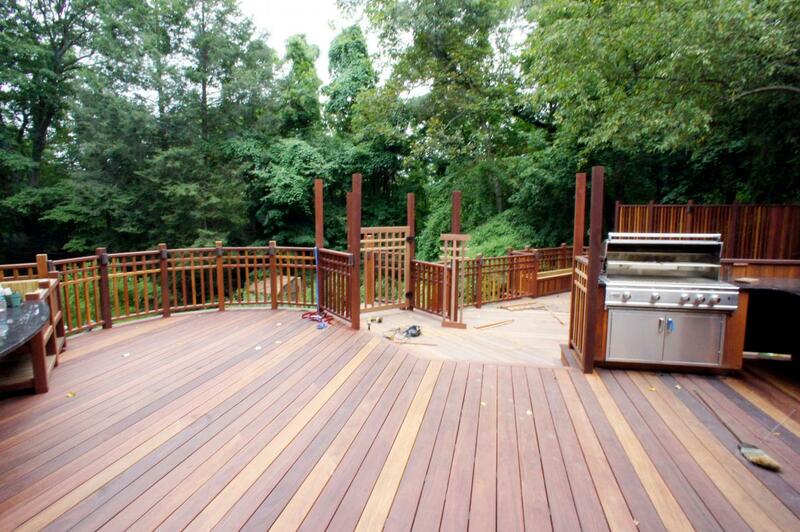 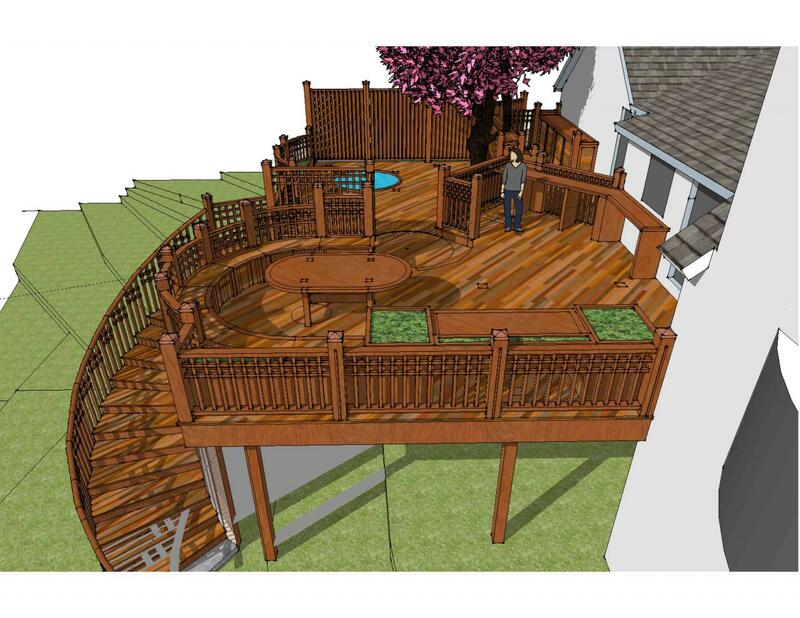 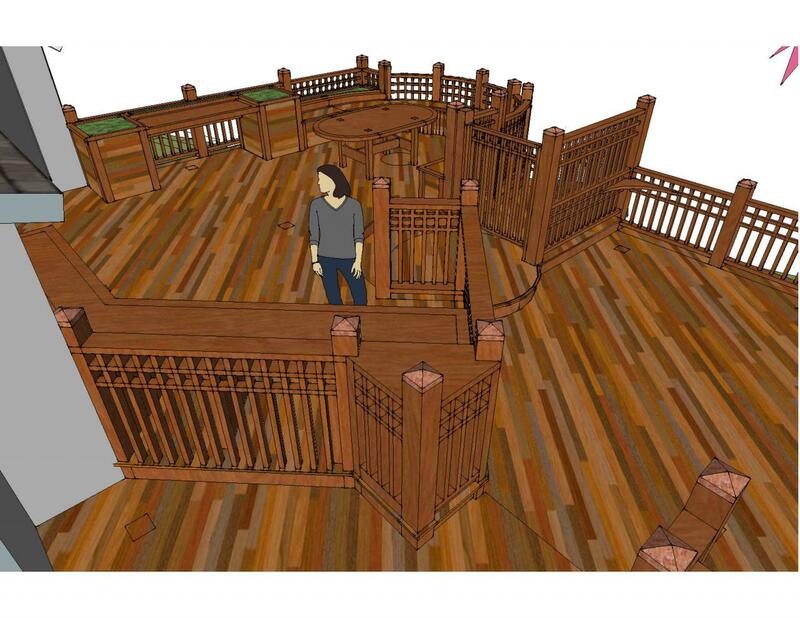 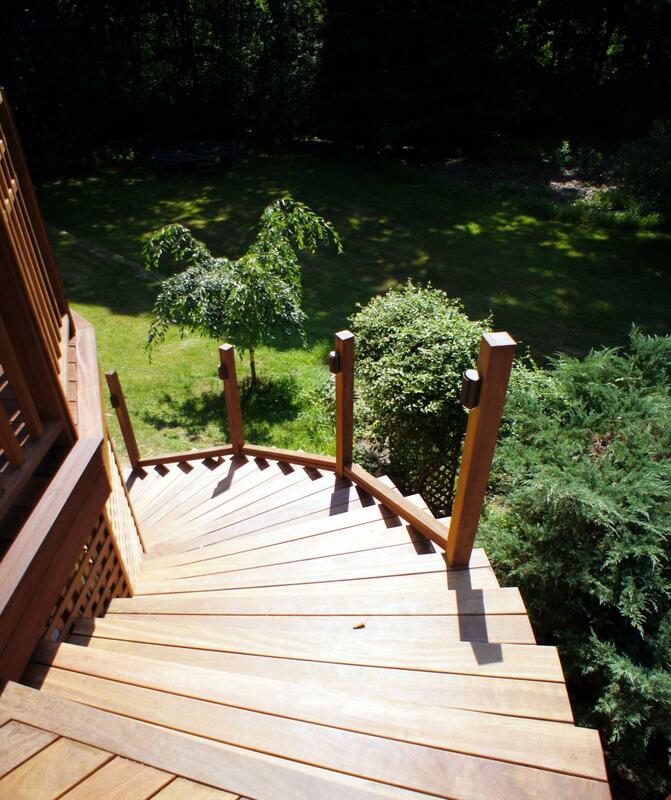 Deck was constructed as a detached structure, with no attachment to garage or house foundation. 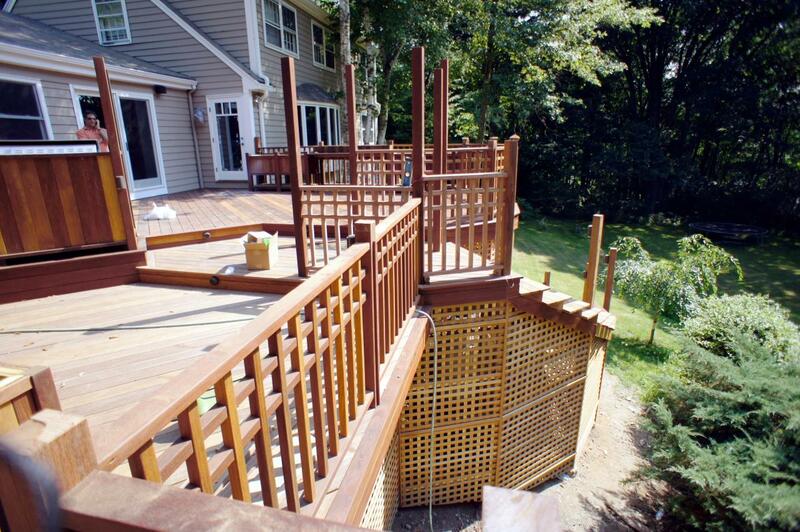 Under deck hides pool pump, heater and other equipment.